We are entering the second full week of January. The holiday rush is over, winter is underway, and most people are working hard to stay on top of their New Years resolutions. Even if you or your elderly loved one didn’t make one of these New Years resolutions this year, it is never too late to begin living a healthier and more active lifestyle. As we all know, regular physical activity and exercise is good for us! This is especially true for our elderly loved ones. Why Should the Elderly Stay Active? Considering the importance of helping your elderly loved one maintain a healthy lifestyle, we spoke with our caregivers and they gave us a list of their favorite exercises to do with their elderly clients. 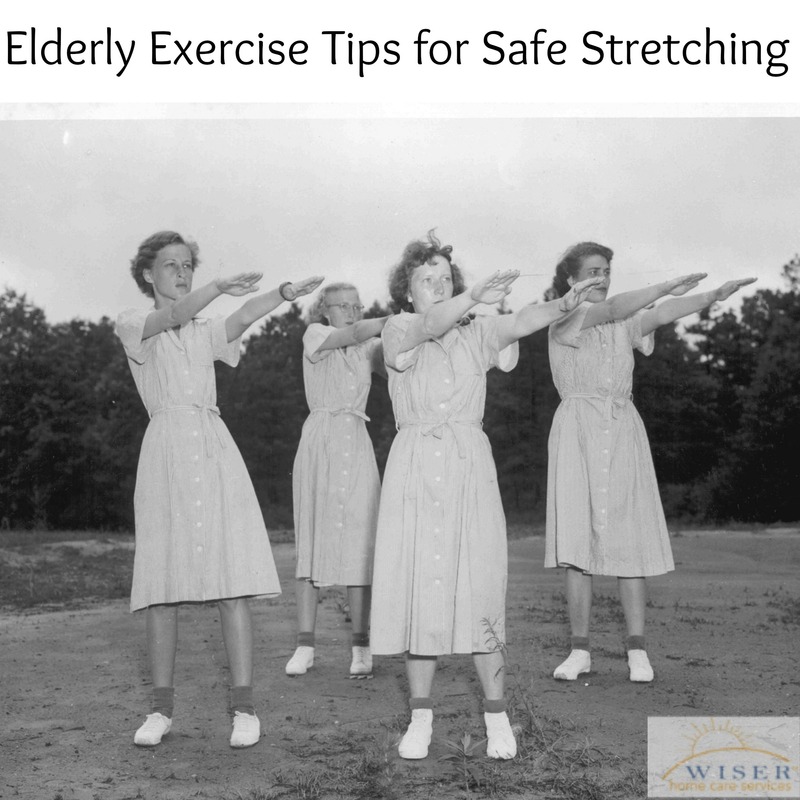 In this blog we will be focusing on one of four aspects of a healthy exercise routine for the elderly: stretching exercises. In future blogs we will also be discussing strength exercises, balance exercises and endurance exercises all tailored to your elderly loved ones. Stretching exercises are extremely important because they help maintain mobility and range of motion. Flexibility is especially key in keeping your loved ones active because it relieves tension within the joints and fights the loss of movement. Maintaining range of motion is key in keeping an active lifestyle for any older adult. Upper Body Stretches– Focuses on upper back, neck, and arm mobility. An effective exercise routine should aim to incorporate stretching exercises 2-3 times per week. This with other exercises will help your elderly loved one to maintain or improve their health in 2015. Here’s to a healthy New Year! Being active is greatly a necessity for elders. Staying sedentary can actually bring more weakness, not only physically but also mentally. Even simple stretching routines can make a difference to the health. So, if you are a family member or a caregiver taking care of a senior, you should encourage them to exercise!